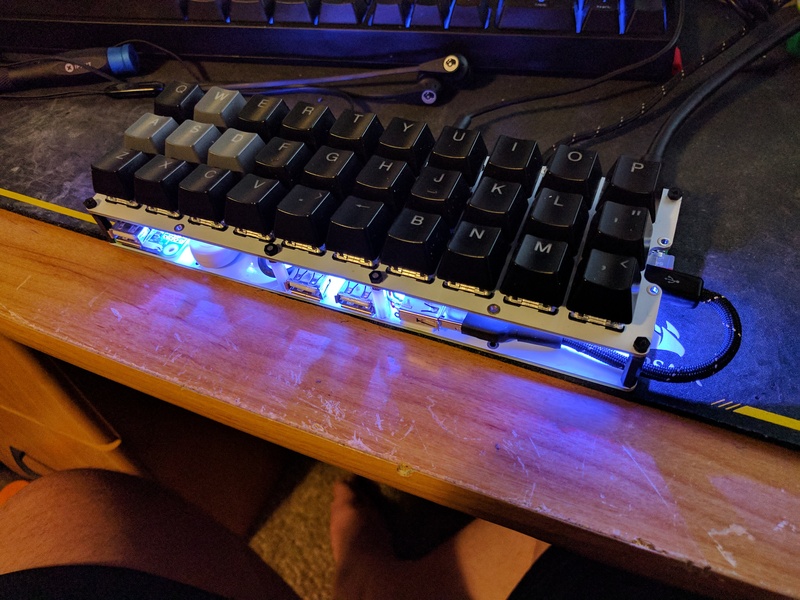 A blog about small mechanical keyboards. The Gherkin Pi by /u/willbill642. I have seen a few boards built with the Gherkin PCBs, this is the first one that did something really different. With this I consider releasing the gerber files as opensource a success. The PCB's are simple and cheap enough to try out new ideas. I am looking forward to seeing what else the PCBs are made into. The cost to have your own PCBs made are relative low ($16 per set of plates shipped to just about anywhere) and you can sell the ones you don't use. © 40% Keyboards. Awesome Inc. theme. Powered by Blogger.